3ma11, the international meeting for owners and enthusiasts of the Fiat 131 was, for the fifth successive year, another great success. The 2011 meeting was held in England from Thursday 5th May to Sunday 8th May. Based in Kingsteignton, a town near Newton Abbot in Devon, the meeting took in the sights of Devon, Cornwall and Somerset with drives stretching all the way to Land's end and as far as Sparkford near Yeovil. A total of fourteen 131s attended the meeting. Thursday, day one of 3ma11, was the "Southern Drive" with the convoy of 131s heading west through the Dartmoor National Park and finally congregating in Fowey for the first of many culinary stops. 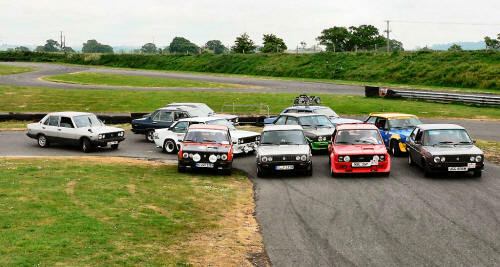 On Friday the 131s were split into groups as some did not want to join the "Marathon Drive" to Land's End. 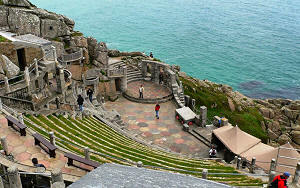 So while a few enjoyed the English Riviera and some even went shopping, the majority of the 131s headed in convoy down the A30 towards Land's End stopping to visit the Minack open air theatre on the way. Traditionally, the Saturday of the 3ma weekends is the day when there is a static display of cars so members of the public can also admire them. There was no exception for 3ma11 as the Saturday visit to the Haynes International Motor Museum in Sparkford, Somerset, enabled the general public to see the 131s prominently displayed in the reserved car park outside the museum's entrance. In fact a number of people who were not part of the meeting came to the Haynes Motor Museum for the day specifically to see the 131s on display. The Museum's challenging and technical 1km test track was made available to the attending 131s for a bit of spirited (but safe of course) driving as well as a backdrop for a photo-shoot session. The "Northern Drive" on Sunday, the last day of the 3ma, was a tour of North Devon with some of the greatest driving routes in the county and probably the country. It started off with a drive through the Dartmoor National Park and a visit to Clovelly, a privately owned village in the Torridge district famous for its history and beauty; in fact it was claimed to be "the world's most famous village". 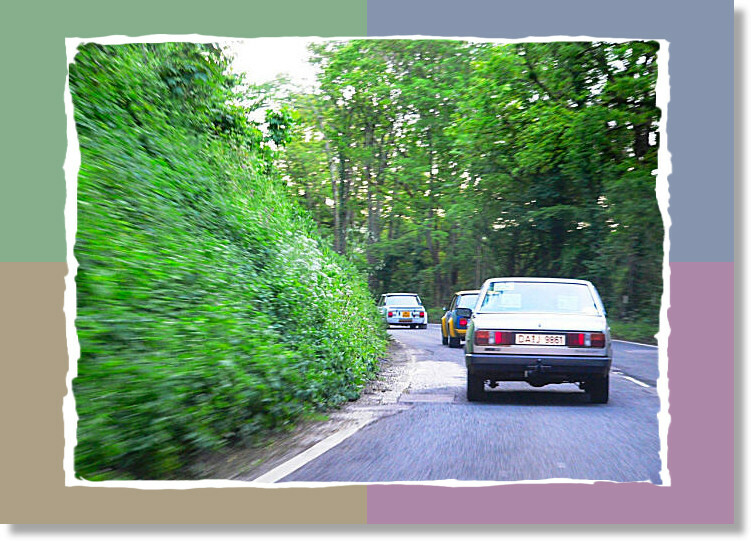 The return drive via the Exmoor National Park provided some superb driving roads, especially over the Brendon Hills and was therefore a perfect conclusion to the four day meeting.